Changing your vehicle’s oil is one of the most important things you can do. Finally, oil can absorb water, dust and combustion byproducts and also hold them in suspension. Eventually, the oil gets saturated with this stuff and can’t absorb any more. Then that stuff remains in the engine and can cause corrosion. Ideally, it should be right at the full mark. If it’s at or below the add mark, that means you’re a quart low and should add a quart of oil to the crankcase. If it’s in between the two marks, you can add part of a quart to bring it up to the full mark (the distance between add and full represents a quart, so use that to estimate how much of a quart you need). Be aware, however, that since oil flows slowly when it is cool, the dipstick may not immediately reflect any oil you just added. 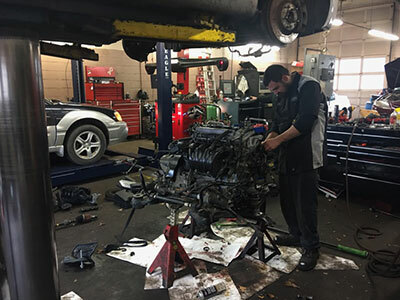 So estimate the amount of oil you need based on your first dipstick reading, and then check it again later that day or the next day to be sure you’re near the full mark. A word of caution: Be careful not to overfill your car’s crankcase with oil. If you put in too much oil, the engine’s crankshaft can actually come in contact with the oil. And because the crankshaft is turning at several thousand revolutions per minute, it can quickly whip your oil into a froth — like the steamed milk that sits on the top of a cappuccino. Why is that bad? Well, the oil pump can’t pump froth very well, and as a result, it can’t get oil to the parts of the engine that need lubrication. The result … a hefty boat payment to your mechanic. 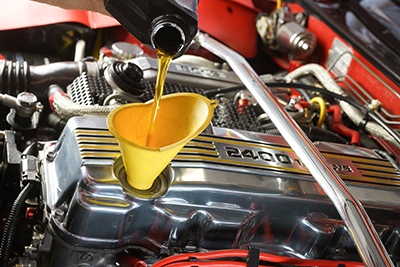 If you are low on oil, you can add any grade of engine motor oil you like — though we advise you to use the grade of oil recommended in your owner’s manual.